SmartFox Security Store are happy to stock the fantastic SecureGuard Power Receptacle Wall Outlet 720P Spy Camera SD Card DVR Nanny Camera (WHITE). With so many on offer right now, it is good to have a make you can recognise. 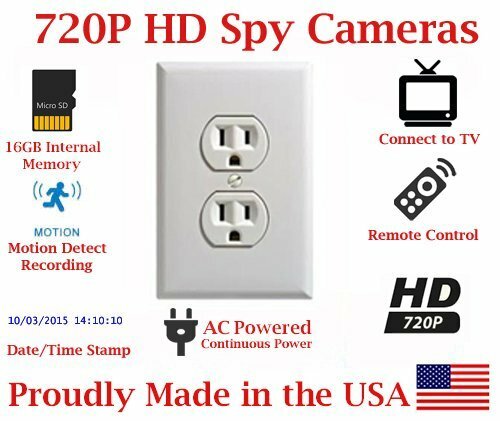 The SecureGuard Power Receptacle Wall Outlet 720P Spy Camera SD Card DVR Nanny Camera (WHITE) is certainly that and will be a perfect acquisition. For this price, the SecureGuard Power Receptacle Wall Outlet 720P Spy Camera SD Card DVR Nanny Camera (WHITE) comes widely respected and is a popular choice for many people. 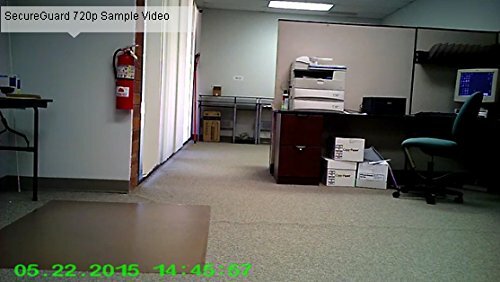 AES Spy Cameras have provided some nice touches and this equals good value. video has a Time/Date stamp, displaying the time and date that the video was created. 1. Before Installing, Plug in the power to test, The camera starts recording immediately. 2. Turn off Power, Take off the face plate, Eject SD Card. 3. Insert the SD card into your computer to view the Videos. 4. After testing, Install inside your wall., Turn the power back on to start recording again. ~ The camera and recorder are powered by connecting to 110V AC Power. ~ The viewing angle is 70 degrees wide and 70 degrees tall. ~ There are no beeps, no noise and no sign that a camera or recorder is inside. ~ We have a support page on our website where we answer common technical issues, installation information and general support. 1280x720 Resolution // 30 FPS Frame Rate // HD Color Video 16GB SD Card Included // Supports 32GB SD Card/ Auto Recycling. Each Camera is fully tested before shipping to provide best quality. Fully programmable Camera, Comes with Program remote and Video out cable. Made in USA // Ships from USA// Live US Tech. support.